Perfect for Children or Adults! 【Unique Rope】 - Polypropylene netting center builds core strength. The round tree swing allows kids to sit in a variety of positions，Whether you prefer to sit or stand, It provides a roomy nest for a kid- and even a couple of friends - to lay back, sway, and spot cloud shapes. 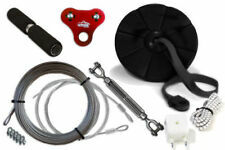 As with all of our swing set accessories, the disc swing was intended for outdoor play. 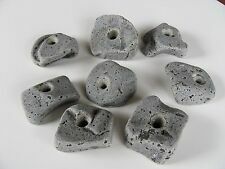 Perfect for children's balance, skills and strength training. 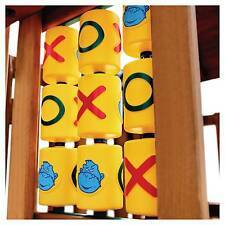 Great toy for your baby to play and relax. Rope Length:93—170cm(Adjustable ). Kids Playhouse Slide Plans DIY Children Outdoor Playset Wood Shelter Playground This is a traditional play structure. It is a sturdy design to handle all the abuse your kids could do to it. You save money by buying the material locally. The nice part about building your own is that if a piece does get wrecked you can easily replace just that piece. You could have this for generations. Mine is still holding up great after 32 years of love. I will email you a PDF to the email address you provided to PayPal so you can print them out any size. If you wish hard copies on 8 1/2 X 11 paper mailed to you as well, please indicate this when you purchase. All plans are designed by Ben Stone. Ben is a retired Engineer in Canada. Ben also drafts these himself using the latest AutoCAD software to ensure accuracy. 30KN/6700lbs Zip Line Cable Trolley Dual Pulley Military Rock Climbing Hauling ! Closed Strength: 6700lbs / 30KN. This trolley is made for running on steel cable, but can also be used on rope. 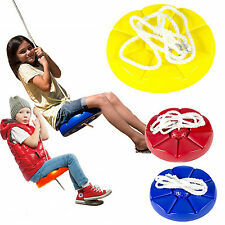 1 x Zip Line Trolley Pulley. Colour: Red. Maximum load: 30 kN. Maximum allowable speed: 35 m/s. 5 out of 5 stars - 30KN/6700lbs Zip Line Cable Trolley Dual Pulley Military Rock Climbing Hauling ! 1 product rating1 product ratings - 30KN/6700lbs Zip Line Cable Trolley Dual Pulley Military Rock Climbing Hauling ! Just 5 to 10 minutes of swinging can calm a seeker for up to 4 hours! Avoiders quickly relax and feel more at ease. 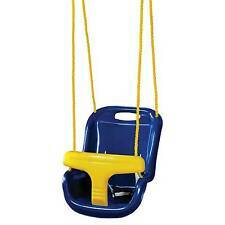 In fact, one of the most wonderful things about this swing is that it's perfect for BOTH sensory seekers and sensory avoiders. Backyard 8' Ferris Wheel Plans DIY Outdoor Playground Children Toys Woodworking These are the plans to build an awesome 8' back yard Ferris wheel for the kids. You can fit up to eight kids at a time. Braced to make it as sturdy as possible, the wheel is designed to operate on "kid power". That is, each time around, each passenger gives the wheel a backward push with his feet. There is no danger traveling too fast for safety, and no danger of falling out of the bucket seats, since the small riders are held in by a safety bar. Another safety feature is a set of wheel locks, which prevent the toy from being used when mom or dad can't be around to supervise getting on and getting off. As a first step in construction, carefully look over the pull-apart drawing. If you follow these details with care, the assembly will not be difficult. 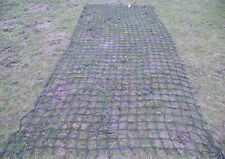 Top quality UK made nets ready for immediate dispatch. 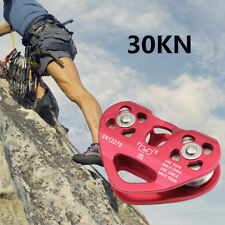 Zip Line Cable Trolley Outdoor Rock Climbing Pulley Block Dual Pulley 25kn / 5600lbs. Closed Strength: 5600lbs / 25KN. This trolley is made for running on steel cable, but can also be used on rope. Maximum allowable speed: 25 m/s. Specifications： Material: Nylon Rope Mental Oxford Fabric Diameter(about): 100 cm/40 inches. 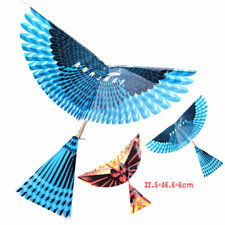 Swing length: 1.8 meters / 71 inches Load capacity: 120 kg /260 lb Net Weight: about 3.9 Kg 8 Colors:Purple,Green,Blue,Black,Red,Orange,Beige,Pink Package includes: 1 Pcs of Swing 1 Set of Accessories Normally we send one color randomly,you can choose the color that you like by sending message to us. Perfect for Children and Adults! 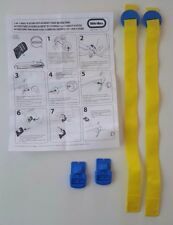 200' Zip Line Kit, Trolley, Cable Ride, High Quality Zipline, 12th Year on Ebay! Great zipline. just as described. Trolley and handle are made of high strength aluminum alloy 6061-T6. The trolley is uniquely designed to prevent the cable from slipping off the pulleys. The two cable pulleys are made of tough, wear resistant, Glass Reinforced Nylon with integral Stainless Steel ball bearings. You also need to accept responsibility to monitor or supervise anyone using your zip line. Use an independent safety like a trailing carabineer to protect against primary failure of the trolley. Get professional advice and training. 40x30" Kids and adults Outdoor Hanging Platform Tree Swing,Portable,durable andsturdy enough ,easy to use,Can beused extensively indoors, outdoors, on swing sets and hung from trees ,Ideal play toys for your children. TheNEW & IMPROVED Alien FlierX3 trolley is designed to be sleek, fast, and easy to use. Our zip line trolley is removable, so it can be taken down seasonally, or whenever it's not in use, for added security. 150' Zip Line Kit, Trolley, Cable Ride, High Quality Zipline, 11 Years on Ebay! Highest Quality ZipLine 11-Yrs Running! great zipline. just as described. Trolley and handle are made of high strength aluminum alloy 6061-T6. The trolley is uniquely designed to prevent the cable from slipping off the pulleys. Many parents and daycare owners are interested in purchasing a swing set for kids to play on. Thankfully, there are plenty of outdoor play sets that are designed for a range of ages and offer several options in terms of materials and toys on the play set. With a knowledge of their options, parents and child care providers can make a purchase that will meet the needs of kids for several years. What kinds of toys can come on a gym set? Commonly chosen features for a gym set include a slide and swing, but sets can also come with a climbing area, deck platform, glider, and tire swing, to name a few. 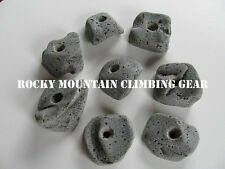 What kinds of equipment are available for climbing? Children's outside gym equipment can come with monkey bars, rock-climbing walls, and many other styles of jungle gym equipment. 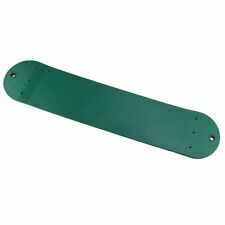 What materials is a swing set made with? Outdoor play sets are made with a variety of materials, including wood, plastic, and metal. The frames are generally made with either wood or metal. If you are interested in a wooden frame, the most commonly available types are cedar, redwood, and pine. Slides made of metal are still available, but plastic slides are becoming more popular. 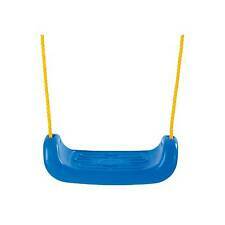 Most gym sets are also made with plastic toys. What should you consider when choosing a swing set? Whenever you choose equipment for children, you need to consider what fits the needs of your kids and what will still be enjoyable for them a few years later. This means that it is smart to consider weight restrictions on any swing set that you are thinking about purchasing. You will also need to consider the size of the outdoor space that you are planning to put the swing set in. Outdoor play equipment comes in a wide variety of sizes, and it’s important that you choose a size that will fit in the desired location. Are there swings and slides designed for toddlers? Swings and slides designed for a toddler’s weight and needs are plentiful. Generally speaking, they require a smaller amount of outside area, and the frame height is shorter, so the swing arc is less and the slide is shorter. How do you know where to put a swing set? When choosing an area for a set, you need to make sure that the ground on which you will be placing it is level. You should also be sure that there are several feet of extra space around the perimeter of the set; kids will be jumping and swinging, so any telephone poles or fences should be far enough away. What materials should be on the ground underneath the set? You can use grass, sand, and mulch underneath a play set. Sand is heavy, but it gives kids an extra activity and is soft if a child lands incorrectly. The benefit of mulch is that it is much lighter.